This is a beautiful one of a kind pendant and earring set made with an original photo taken in Maui. 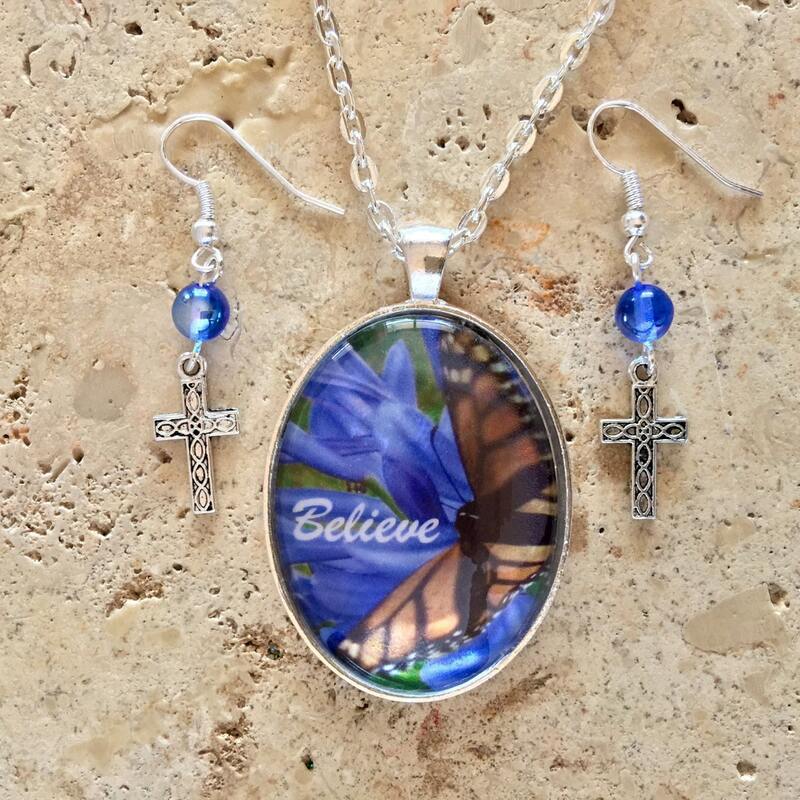 The butterfly with it's wings stretched out and the word "Believe" reminds us of the beauty that surrounds us made by our Creator who loves us. 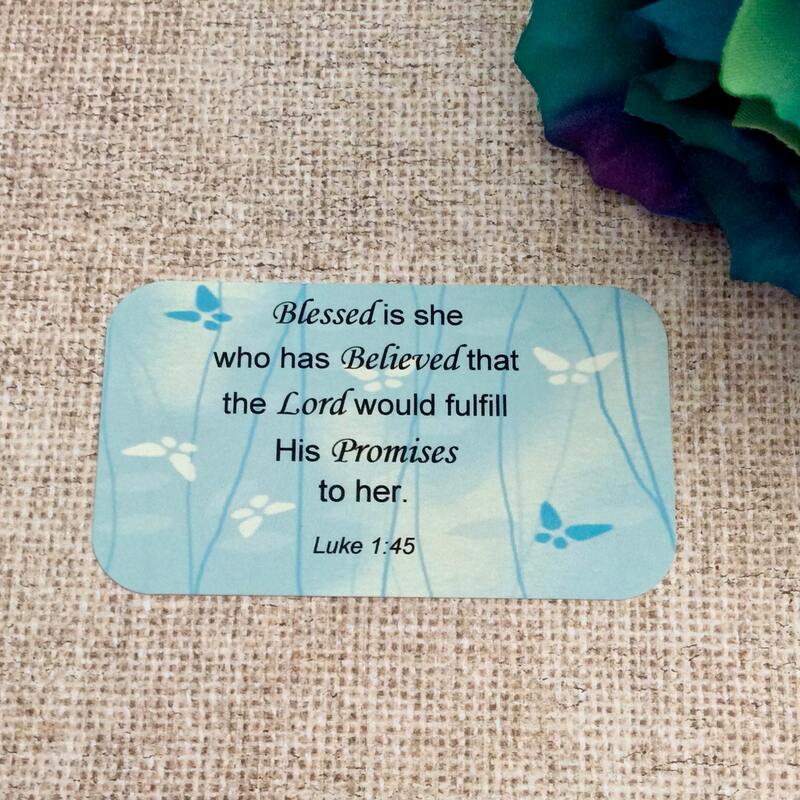 A meaningful scripture card of Luke 1:45 comes with this set. Blessed is she who has Believed that the Lord would fulfill His Promises to her. The photo is under a glass dome that protects the photo and magnifies the beauty of the photograph. The pendant is created on a shiny silver plated tray covered with a glass dome. The glass is oval and measures 40x30mm and the finished pendant is approximately 1 3/4" long. The pendant comes on a lead-free and nickel-free silver plated matching link chain necklace in your choice of 24" or 30" in length. 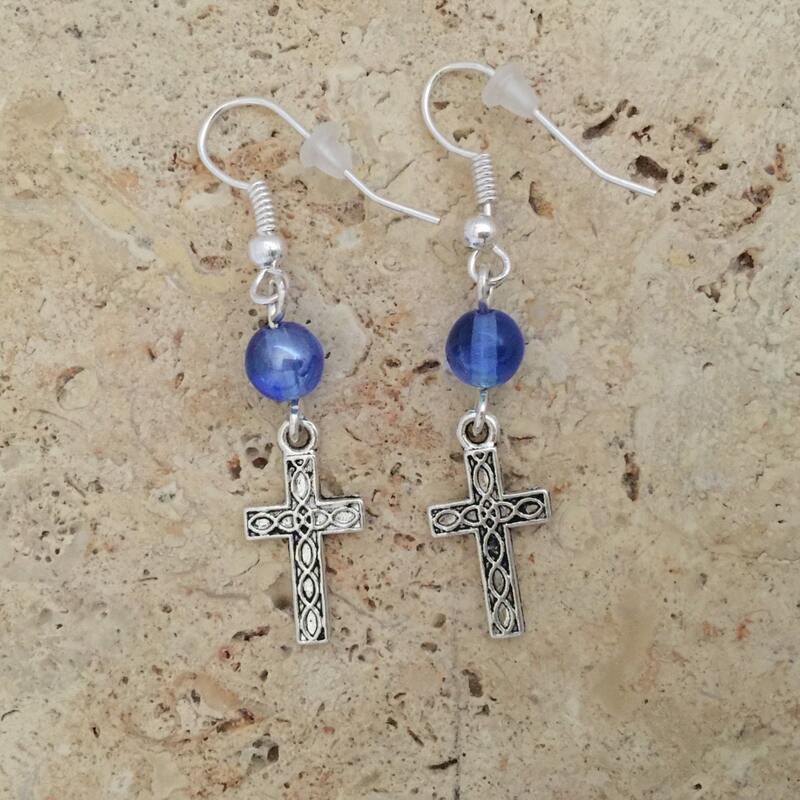 The pierced earrings are made from silver plated stainless steel with 6mm matching blue glass beads and small silver zinc alloy cross charms. Earrings are lightweight and comfortable to wear. All earrings come pierced, but if you would like clip-on earrings just make a note on your order. The set comes gift boxed and ready to give. 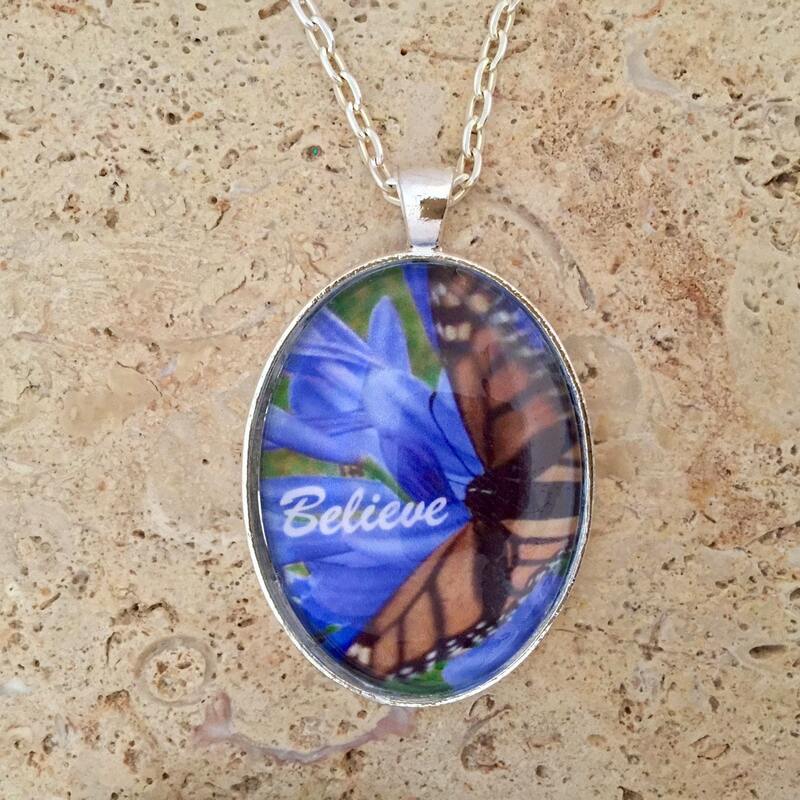 Perfect gift for Mom or Grandmother or any women that loves flowers and nature. Please note that the necklace and earrings are water resistant to a splash of water or rain, however they are not waterproof, so it should not be worn in the shower or while swimming.